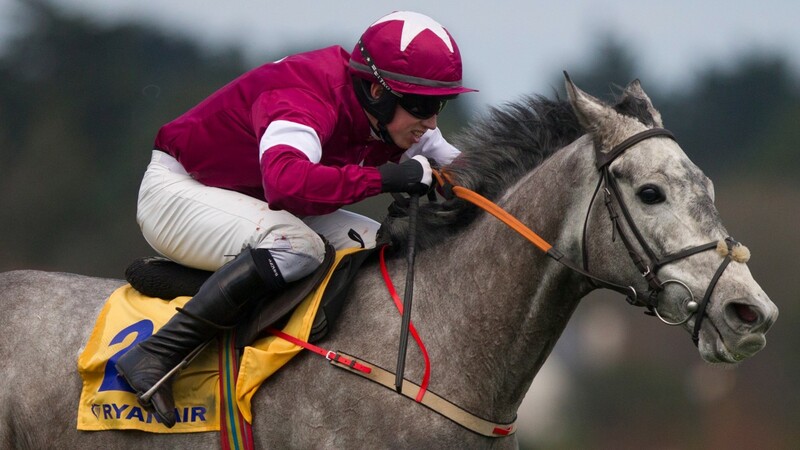 Petit Mouchoir saw off the hot favourite Nichols Canyon as well as younger opposition in the Grade 1 Ryanair Hurdle at Leopardstown on Thursday, and in doing so became another top-level winner for French sire Al Namix. Al Namix is also the sire of Saphir Du Rheu, who scored in the Mildmay Novices' Chase at Aintree in 2015, and Grandouet, winner of the Punchestown Champion 4yo Hurdle in 2011. The 19-year-old son of Linamix, a Listed winner at around a mile in his own racing career, will stand at Haras de Mirande at an unchanged fee of €2,500. Bred by Philip Gueret out of the winning Denham Red mare Arnette, Petit Mouchoir is a half-brother to the exciting four-year-old filly Pravalaguna, who saw off Ask Susan by five and a half lengths on her hurdling debut at Navan earlier this month, having switched from Alain Couetil in France to champion trainer Willie Mullins. Just over 30 minutes earlier, Our Duke had managed to put his head in front of Coney Island in a closely-fought finish to the Grade 1 Neville Hotels Novice Chase at Leopardstown, providing Oscar with his first Grade 1 winner since God's Own won the Punchestown Champion Chase back in April. Prix du Jockey Club runner-up Oscar, who is retired from the Coolmore National Hunt roster, has a long list of Grade 1 winners that includes At Fishers Cross, Big Zeb, Black Jack Ketchum, Oscar Whisky, Lord Windermere and Peddlers Cross as well as God's Own and Our Duke. Bred by Billy Cooper out of the mare Good Thyne Jenny, Our Duke is trained by Jessica Harrington and runs in the colours of the Cooper Family Syndicate. Our Duke is a brother to Oscar Sam who won three consecutive handicap hurdles for the same connections last winter. Oscar Sam was eighth to Electric Concorde in a handicap hurdle on Wednesday while their half-sister Ask Granny finished down the field in a maiden hurdle earlier on the same card. Others out of the mare to do well include handicap hurdle winner Billy To Jack and point-to-point winner Sarahs Catch. Good Thyne Jenny has a two-year-old colt by Ask, has no yearling or foal but was covered by Ask again in 2016.